More than 53,000 Maine students have gotten fiscally fit through one of our fairs including a record-setting 8,774 in 2017/18 school year! This list is updated on a continuous basis throughout the school year. Some fairs and other outreach may not be listed on the calendar. To learn more about the Fairs, download our informational brochure. Contact Jake Holmes to inquire about how to schedule a Fair for the 2018/19 school year. View the online version here. For log-in information, please contact the Maine CU League. 2018/19 Fairs are now being scheduled – Contact us! The most recognized League in the country! 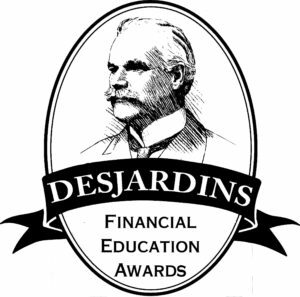 The Maine Credit Union League has received a national Desjardins Youth Financial Education Award for 17 consecutive years! Complete the form below to email a link to this page to a friend.